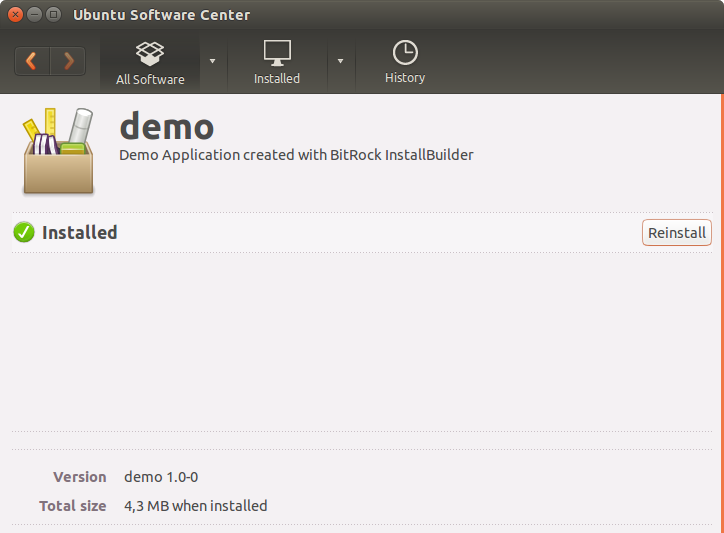 InstallBuilder can generate RPM and Debian packages directly from installer project files. From one project, you can generate native installers, RPMs, Debian packages, and multiplatform DVDs and CD-ROMs. InstallBuilder installers can also be set to register with the RPM subsystem. This feature enables you to get the benefit of an interactive installation and configuration process while allowing users to manage your software package using native package management tools.